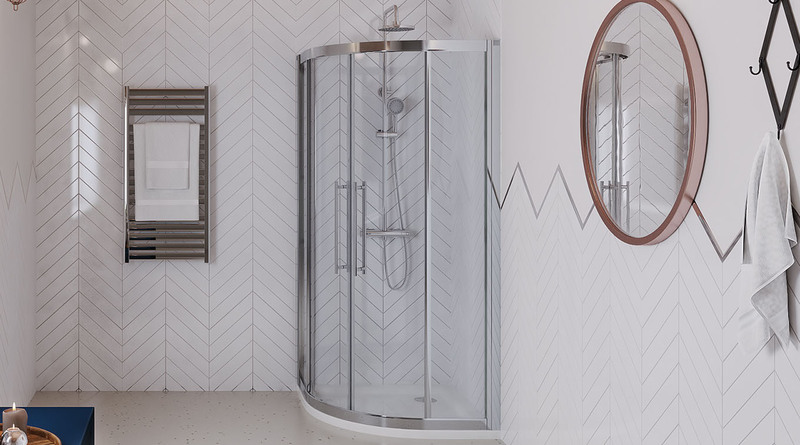 Designed to allow any practical space of your choosing to have a shower, we selected a style that is simple, easy to use and robust for the demands of this space in your home. A showroom that just works and looks great. 900mm quadrant double door enclosure and tray including waste, wall mounted thermostatic shower valve with diverter and riser kit including handset.